I'm looking for students interested in starting a PhD on Recommender Systems. Please send me your CV. Mehdi Elahi, (University of Bozen-Bolzano) Active Learning in Recommender Systems (PhD April 2014). Marius Kaminskas, (University of Bozen-Bolzano) Adapting music to locations (PhD April 2013). Linas Baltrunas, (University of Bozen-Bolzano) Phd in Context-Aware Collaborative Filtering Recommender Systems (PhD April 2011). Shlomo Berkovsky, (University of Haifa, Israel), Phd in Mediation of user models for enhanced personalization in recommender systems, (PhD June 2008). Winner of the best paper award at Adaptive Hypermedia 2006. Now at CSIRO, Australia. Tariq Mahmood, (University of Trento), Phd in Learning Adapted Interaction Strategies in Conversational Recommender Systems (PhD March 2009). Winner of the best paper award at ENTER 2009. David Massimo (University of Bozen-Bolzano) Personalised Food Recommendation (MSc thesis, October 2016). Nguyen ThaiSon (University of Bozen-Bolzano) Mobile Lifelogging for Allergic Rhinitis Management (MSc thesis, July 2014). Lukas Siemon (University of Bozen-Bolzano) Group recommendation techniques for individual recommendations (MSc thesis, October 2013). Laura Bledaite, (University of Bozen-Bolzano) Ranking with pairwise preferences (MSc thesis, March 2014). Manuel Henrich, (University of Bozen-Bolzano) Cross domain recommendations with tags (MSc thesis, October 2012). Auste Piliponyte, (University of Bozen-Bolzano) Sequential group recomendations (MSc thesis, October 2012). Omar Moling, (University of Bozen-Bolzano) Context-aware zero feedbacks music personalization (MSc thesis, October 2011). Matthias Braunhofer, (University of Bozen-Bolzano) Mobile Music Recommendations (MSc thesis, March 2011). Francesca Guzzi, (University of Bozen-Bolzano) Group Recommendations by Negotiation (MSc thesis, March 2011). Patrick Lamber, (University of Bozen-Bolzano) Workflow support with context-dependent push messages in the Hospital (MSc thesis, Fall 2010). Tadas Makcinskas, (University of Bozen-Bolzano) Ranking Integration in Collaborative Filtering Group Recommendations (MSc thesis, October 2009). Filtering (MSc thesis, October 2009). Rene' Wietsma, (University of Twente, Netherlands), Msc in Mobile Decision Aids and Products Reviews (MSc thesis, 2006). His master thesis won the 1st price: Dutch/Belgium Essay price organized by SDU publishing and the Dutch Informatics Association (Jan 2007). Simon Hoerman, (University of Bozen-Bolzano) Recommendation by proposing and dynamic clusering (MSc thesis, March 2008). I'm involved in research activities on recommender systems and intelligent information systems. 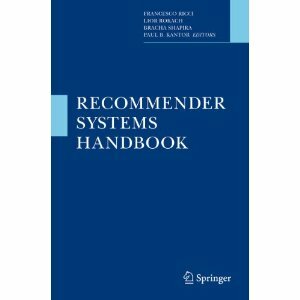 Please look at Recommender Systems Handbook, which I edited with L. Rokach, B. Shapira and P. Kantor, for a extensive overview with several papers covering several research topics in this area. I'm interested in the design of innovative recommendation technologies and in the development of concrete and fully operational recommender systems. I participated to the design and development of: NutKing, DieToRecs, and MobyRek. These recommenders integrate etherogeneous user-related and product-related data sources, support cooperative query answering, and exploit a structured case representation and novel similarity metrics. The core recommendation technology that I designed, Trip@dvice, has been reenginered in the European Tourist Destination Portal Project and it is fully exploited in the European Travel Commission web site www.visiteurope.com, in the Finnish travel portal www.visitfinland.com and in www.veneto.to. A spin off company, www.ectrlsolutions.com, is marketing the Trip@advice technology. A detailed description of my recent research projects can be found here. Recommender Systems: collaborative filtering, hybrid recommender systems, privacy protection and collaborative filtering, case-based recommender systems, mobile recommender systems, context-dependent recommendations, group recommendations, implicit feedback, alternative preference models. User Modeling: distributed UM and cross-technique and cross-domain mediation of UMs, session based (ephemeral) user models, data fusion and user models (in mobile systems). Adaptive and Conversational Systems: intelligent question selection, cooperative query relaxation, sequential decision making and intelligent recommender agents, supporting user-to-user negotiations, critique-based conversational systems. Case-Based Reasoning: Structured cases representation (trees and graphs), similarity metrics for complex cases, learning similarity metrics, P2P architectures and case retrieval, case-based planning. Machine Learning: error correcting output codes, local distance metrics for nearest neighbor classifier, probability based metrics. Constraint Based Reasoning: distributed and stochastic algorithms, temporal reasoning, object oriented languages and constrains, applications to manufacturing and planning. eCommerce and Tourism: systems for eDestinations, systems for less developed countries, Digital Business Ecosystems, modeling consumer behavior, semantic based data mediation (Harmonise). Recommender Systems: from Preference Learning to Useful Recommendations. (keynote), 14th Italian Research Conference on Digital Libraries, Udine, 25-26 January, 2018. Context and Recommendations: Challenges and Results, (invited talk), 26th GI-Workshop Grundlagen von Datenbanken, Bozen-Bolzano, Italy, October 21st to 24th, 2014. Engaging Users with Situational Recommendations: Challenges and Results, (invited talk), IIiX 2014 (The 5th Information Interaction in Context Conference), Regensburg, August 29, 2014. Group Recommender Systems: Rank Aggregation and Balancing Techniques, (invited seminar), Barcelona Digital Technology Centre (BDigital), June, 12, 2014. Contextualizing recommendations (invited talk), ACM RecSys Workshop on Context-Aware Recommender Systems (CARS '12), In conjunction with the 6th ACM Conference on Recommender Systems), September 9, 2012 - Dublin, Ireland. Context-Aware Music Recommender Systems (Invited Talk) AdMIRe 2012: 4th International Workshop on Advances in Music Information Research: "The Web of Music" in conjunction with the 21st International World Wide Web Conference. Lyon, France, 17th April 2012. Leveraging Context-Awareness in Recommender Systems (Invited Seminar), University of Trento, Department of Computer and Management Science, October 17th, 2011. Leveraging Context-Awareness in Tourism Mobile Applications, (Invited talk), International Seminar on New Media Analysis and Strategies for Tourism Marketing Organizations, September 15-16, 2011, Modul University, Vienna. Context-Aware Recommender Systems (invited seminar), University of Varazdin, Faculty of Organization and Informatics, June 13, 2011. Adapting to Users in Recommender Systems, (Invited talk) Trends in eCommerce, Technical University Vienna, January 19th, 2009. Introduction to recommender systems (lecture), Technical University of Vienna, Austria, January 16, 2007 (pdf). Process personalization in future recommender systems (invited talk), eTourism Workshop on Future Destination Systems, Vienna, EC3, November 9, 2006. E C - W e b 2006, Kracow, September 2006 (pdf). DMRS 2018, International Workshop on Decision Making and Recommender Systems 2018, 29-30 November 2018, Bolzano, Italy. RecSys 2017, 11th ACM conference on Recommender Systems, August 27-31, 2017, Como, Italy (General co-chair). UMAP 2015, 23rd International Conference on User Modeling, Adaptation, and Personalization (UMAP 2015), Dublin, June 29 - July 3 2015. Workshop on Location-Aware Recommendations, colocated with RecSys 2015, Vienna, September 19, 2015. Tutorial session at 9th ACM Conference on Recommender Ssystems (RECSYS 2015). Vienna, September 16-20, 2015. DMRS 2015, International Workshop on Decision Making and Recommender Systems 2015, 22-23 October 2015, Bolzano, Italy. Doctoral Consortium, The 22nd conference on User Modeling, Adaptation, and Personalization — UMAP 2014, Aalborg, Denmark, July 7, 2014. 29th Symposium On Applied Computing, (Track on Recommender Systems: Theory and Applications), Gyeongju, Korea, March 24 - 28, 2014. DMRS 2014, International Workshop on Decision Making and Recommender Systems 2014, 18-19 September 2014, Bolzano, Italy. RecSys'13 Workshop on Human Decision Making in Recommender Systems (Decision@RecSys13), In conjunction with the 7th ACM Conference on Recommender Systems, October 7, 2013, Hong Kong. RecSys'12 Workshop on Human Decision Making in Recommender Systems (Decision@RecSys12), In conjunction with the 6th ACM Conference on Recommender Systems, September 9-13, 2012, Dublin, Ireland. Recommendation Technologies for Lifestyle Change 2012 (Lifstyle2012), workshop colocated with the 6th ACM Conference on Recommender Systems, Dublin, Ireland - 13th September 2012. ENTER 2012 International Conference on Information and Communication Technologies in Tourism - ENTER 2012, Helsingborg Sweden 24th to 27th January 2012. Third Workshop on Context-Aware Recommender Systems (CARS-2011), Chicago, IL, USA - October 23, 2011. In conjunction with the 5th ACM Conference on Recommender Systems. 1st Workshop on Decision Making and Recommendation Acceptance Issues in Recommender Systems (DEMRA 2011). In conjuction with UMAP 2011. Girona, Spain - July 11, 2011. ENTER 2011 International Conference on Information and Communication Technologies in Tourism - ENTER 2011, Innsbruck, Austria, 26-28 January, 2011. In conjunction with the 3rd ACM Conference on Recommender Systems. Recommender Systems, 2nd ACM conference on Recommender Systems, October 23-25, 2008, Lausanne, Switzerland (PC co-chair). First International Workshop on Recommender Systems and Personalized Retrieval. In conjunction with The First IEEE International Conference on the Application of Digital Information and Web Technologies (ICADIWT 2008). August 4-6, 2008 VSB- Technical University of Ostrava, Czech Republic. Minitrack on Recommender Systems, Fortieth Annual Hawaii International Conference on System Sciences, HICSS-40, January 3 - 6, 2007, Waikoloa, Hawaii. (co-chair). Advances in Recommender Systems Haifa, Israel, 26 June 2005. In conjunction with BISFAI -05 Biennial Israeli Symposium on the Foundations of AI. ENTER 2005 International Conference on Information and Communication Technologies in Tourism - ENTER 2005, Innsbruck, Austria, 26-28 January, 2005. RECSYS 2019 13th ACM Conference on Recommender Systems, Copenhagen, Denmark, 16th-20th September 2019. IJCAI 2019 (Area Chair), the 28th International Joint Conference on Artificial Intelligence. August 10-16, 2019, Macao, China. IUIoT 2019, First Workshop on Intelligent User Interfaces for Internet of Things. A part of ACM conference on Intelligent User Interfaces (IUI 2019), Los Angeles, CA | March 20, 2019. FLAIRS 2019, The 32nd International FLAIRS Conference, Sarasota, Florida, USAMay 19-22, 2019. ENTER 2019 International Conference on Information and Communication Technologies in Tourism - Enter 2019, Nicosia – Cyprus, January 29 - February 1 2019. SAC 2019 The 34th ACM/SIGAPP Symposium On Applied Computing, Limassol, Cyprus, April 8 - 12, 2019. KDD 2018, The 24th ACM SIGKDD Conference on Knowledge Discovery and Data Mining. 19-23 August 2018, London. RECSYS 2018 12th ACM Conference on Recommender Systems, Vancouver, Canada, 2nd-7th October 2018. UMAP 2018 26th Conference on User Modeling, Adaptation and Personalization. 8 - 11 July, 2018 at Nanyang Technological University, Singapore. SAC 2018, The 33rd ACM/SIGAPP Symposium On Applied Computing, Pau, France, April 9 - 13, 2018. IIR 2018, 9th Italian Information Retrieval Workshop, Rome, 28-29 May, 2018. AAMAS 2018 (International Conference on Autonomous Agents and Multiagent Systems) 2018, Doctoral Consortium. Stockholm, Sweden, July 10-15 2018. ENTER 2018 International Conference on Information and Communication Technologies in Tourism - Enter 2018, Jönköping – Sweden (January 24-26 2018). UMAP 2017 25th Conference on User Modeling, Adaptation and Personalization. 9-12th July, 2017 at FIIT STU, Bratislava, Slovakia. SAC 2017, The 32nd ACM SIGAPP Symposium On Applied Computing, Marrakech, Morocco, April 4-6, 2017. IIR 2017, 8th Italian Information Retrieval Workshop, Lugano, 5-7 June, 2017. ENTER 2017 International Conference on Information and Communication Technologies in Tourism - Enter 2017, Roma, Italy, 24-26 January, 2017. WWW 2016 25th International World Wide Web Conference.April 11-15 2016, Montreal, Canada. RECSYS 2016 The 10th ACM Conference on Recommender Ssystems. Boston, September 15-19, 2016. Demo Session at the 10th ACM Conference on Recommender Ssystems (RECSYS 2016). Boston, September 15-19, 2016. INTRS 2016 - Joint Workshop on Interfaces and Human Decision Making for Recommender Systems, at 10th ACM Conference on Recommender Ssystems. Boston, September 15-19, 2016. RecTour 2016 - Workshop on Recommenders in Tourism, at 10th ACM Conference on Recommender Ssystems. Boston, September 15-19, 2016. HealtReac 2016 - Workshop on Engendering Health with Recommender Systems, at 10th ACM Conference on Recommender Ssystems. Boston, September 15-19, 2016. UMAP 2016 - 24th International Conference on User Modeling, Adaptation, and Personalization (UMAP 2016), 13-16 July 2016 - Halifax, Canada. UMAP 2016 Doctoral Consortium, at UMAP 2016 - 24th International Conference on User Modeling, Adaptation, and Personalization (UMAP 2016), 13-16 July 2016 - Halifax, Canada. EvalUMAP 2016 Workshop, , at UMAP 2016 - 24th International Conference on User Modeling, Adaptation, and Personalization (UMAP 2016), 13-16 July 2016 - Halifax, Canada. ACM SIGIR Conference on Human Information Interaction and Retrieval (CHIIR 2016). Chapel Hill, North Carolina, USA, 13-17 march 2016. ENTER 2016 International Conference on Information and Communication Technologies in Tourism - Enter 2016, Bilbao, Spain, 2-5 February, 2016. IUI 2016, 21st ACM Conference on Intelligent User Interfaces, March 7-10, 2016. Valencia, Spain, September 1- 2, 2015. 9th ACM Conference on Recommender Ssystems (RECSYS 2015). Vienna, September 16-20, 2015. Demo Session at the 9th ACM Conference on Recommender Ssystems (RECSYS 2015). Vienna, September 16-20, 2015. SoMeRA 2015, 2nd International Workshop on Social Media Retrieval and Analysis,in conjunction with the IEEE International Conference on Data Mining (ICDM 2015). Nov 14, 2015. Atlantic City, New Jersey, USA. Intelligent Personalization (IP 2015) workshop at IJCAI 2015, 25-27 July 2015, Buenos Aires, Argentina. 8th ACM Conference on Recommender Ssystems (RECSYS 2014). October 6-10, 2014. Foster City, Silicon Valley, USA. IntRS 2014 (Joint Workshop on Interfaces and Human Decision Making for Recommender Systems. In conjunction with 8th ACM Cconference on Recommender Ssystems (RECSYS 2014). October 6-10, 2014. Foster City, Silicon Valley, USA. Munich, September 1- 5, 2014. IIiX 2014 (The 5th Information Interaction in Context Conference), Regensburg, 26-30, August, 2014. 20–21 August 2014, Prague, Czech Republic. The 22nd conference on User Modeling, Adaptation, and Personalization — UMAP 2014, Aalborg, Denmark, July 7-11, 2014. The 2nd workshop on Emotions and Personality in Personalized Services (EMPIRE 2014), in conjunction with the UMAP 2014 conference and will be held in Aalborg, Denmark, as a full-day workshop on 11. July 2014. Workshop on Context-awareness in Retrieval and Recommendation (CaRR 2014), in conjunction with the ECIR 2014 Conference, Amsterdam, The Netherlands, April 13, 2014. AVI 2014 International Working Conference on Advanced Visual Interfaces, Como (Italy) May 27-30, 2014. ESWC2014-Challenges (Challenge Track of the Extended Semantic Web Conference (ESWC 2014), Hersonissou, Crete, Greece, May-25-29, 2014. ENTER 2014 International Conference on Information and Communication Technologies in Tourism - Enter 2014, Dublin, Ireland, 21-24 January, 2014. 7th ACM Cconference on Recommender Ssystems (RECSYS 2013). October 12-16, 2013. Hong Kong. Workshop on Context-awareness in Retrieval and Recommendation (CaRR 2013), in conjunction with the Sixth ACM WSDM Conference, Rome, Italy, February 6-8, 2013. 14th International Conference on Electronic Commerce and Web Technologies - EC-Web 2013, Prague, August 26-30, 2013. IEEE International Conference on Business Informatics (CBI 2013), Vienna, July 15-18, 2013. The AAAI 2013 Workshop on Intelligent Techniques For Web Personalization and Recommender Systems (ITWP 2013), 15 July 2013, Bellevue, Washington. The 21st conference on User Modeling, Adaptation, and Personalization — UMAP 2013, Rome, July 10-14, 2013. And, Doctoral Consortium. ENTER 2013 International Conference on Information and Communication Technologies in Tourism - Enter 2013, Innsbruck, Austria, 22-25 January, 2013. ACM Symposium on Applied Computing (SAC), Track on Recommender Systems: Theory and Applications (RS), March 18-22, 2013, Coimbra, Portugal. 6th ACM Cconference on Recommender Ssystems (RECSYS 2012). September 9-13, 2012. Dublin, Ireland. 13th International Conference on Electronic Commerce and Web Technologies - EC-Web 2012 Vienna (Austria), September 3 - 7, 2012. 10th Workshop on Intelligent Techniques for Web Personalization & Recommender Systems (ITWP 2012). In conjunction with AAAI July 22, 2012 - Toronto, Canada. ISMIS 2012 - The 20th International Symposium on Methodologies for Intelligent Systems, Special Session on Human Factors in Information Retrieval, Macau, 4-7 December 2012. The 20th conference on User Modeling, Adaptation, and Personalization — UMAP 2012, Montreal, July 16-20, 2012. And, Doctoral Consortium. 1st International Workshop on Personalized Knowledge Modeling with Big Data, co-located with the 20th Conference on User Modeling, Adaptation, and Personalization (UMAP 2012) in Montreal, Canada, July 16-20, 2012. 2nd Workshop on Context-awareness in Retrieval and Recommendation (CaRR 2012), in conjunction with IUI 2012, Lisbon, Portugal, February 14th, 2012. 3rd Italian Information Retrieval Workshop (IIR 2012). January 26-27 2012, Dipartimento di Informatica (DIB), Università di Bari "Aldo Moro", Bari, Italy. 5th ACM CONFERENCE ON RECOMMENDER SYSTEMS (RECSYS 2011). October 23-27, 2011. The Palmer House Hilton. Chicago, IL, USA. International ACM RecSys Workshop on Novelty and Diversity in Recommender Systems - DiveRS 2011. Chicago, IL, USA, 23 or 27 October 2011. 2nd Workshop on Information Heterogeneity and Fusion in Recommender Systems (HetRec 2011). In conjunction with the 5th ACM Conference on Recommender Systems. October 23-27, 2011, Chicago, IL, USA. RecSys'11 Workshop on Human Decision Making in Recommender Systems. In conjunction with the 5th ACM Conference on Recommender Systems. October 23-27, 2011, Chicago, IL, USA. Context Aware Intelligent Assistance (CAIA 2011), located at KI-2011,Technical University, Berlin, October 04, 2011. EC-Web 2011, "Recommender Systems" track, August 29-September 2, 2011, Toulouse, France. 9th Workshop on Intelligent Techniques for Web Personalization & Recommender Systems (ITWP 2011). In conjunction with IJCAI 2011. July 16, 2011 - Barcelona, Spain. User Modeling, Adaptation, and Personalization (UMAP 2011), July 11-15, 2011, Girona, Spain. in the Social-semantic Web (APRESW 2010), 30 or 31 May 2010 | Heraklion, Greece. 1st Workshop on Context-Awareness in Retrieval and Recommendation (CARR2011), in conjunction with 2011 International Conference on Intelligent User Interfaces, February 13-16, 2011. Consumer Behavior in Tourism Symposium 2010 (CBTS 2010), December 1-4, 2010, Bruneck/Brunico, South Tyrol, Italy. Recommender Systems, 4th ACM conference on Recommender Systems, September 26-30 , 2010, Barcelona, Spain. 2nd Workshop on Context-Aware Recommender Systems (CARS-2010), Barcelona, Spain - September 26, 2010. Challenge on Context-aware Movie Recommendation (CAMRA-2010), Barcelona, Spain - September 30, 2010. CAIA 2010, Context Aware Intelligent Assistance, Workshop held at the 33th Annual Conference on Artificial Intelligence (KI-2010), September 21–24, 2010 Karlsruhe, Germany, Karlsruhe Institute of technology (KIT). 11th International Conference on Electronic Commerce and Web Technologies EC-Web 2010, University of Deusto, Bilbao, Spain, 30 August - 3 September 2010. 1st International Workshop on Adaptation, Personalization and REcommendation in the Social-semantic Web, 7th Extended Semantic Web Conference (ESWC 2010), May 30th 2010 | Heraklion, Greece. Eighteenth International Conference on Case-Based Reasoning (ICCBR-10), Alessandria, Italy. 19 July to 22 July 2010. 4th International Workshop on Distributed Agent-Based Retrieval Tools (DART 2010), June 18th 2010, Webster University Geneva School of Business and Technology Department of Mathematics and Computer Science. The 8th Workshop on Intelligent Techniques for Web Personalization & Recommender Systems, held in conjunction with User Modeling, Adaptation, and Personalization (UMAP 2010), June 20-24, 2010, Big Island of Hawaii. Pervasive User Modeling and Personalization (PUMP'10), Workshop at UMAP'10, June 20, Big Island, HI. User Modeling, Adaptation, and Personalization (UMAP 2010), June 20-24, 2010, Big Island of Hawaii. 8th Workshop on Intelligent Techniques in Web Personlization (ITWP10), in conjunction with UMAP in Hawaii, June 20, 2010, Big Island of Hawaii. APRESW 2010, 1st International Workshop on Adaptation, Personalization and REcommendation in the Social-semantic Web, 7th Extended Semantic Web Conference (ESWC 2010), 31 May 2010 | Heraklion, Greece. UDISW 2010, International Workshop on User Data Interoperability in the Social Web, in conjunction with IUI 2010, February 7-10, 2010, Hong Kong, China. ENTER 2010, Information and Communications Technology in Tourism and Travel. Lugano, Switzerland, February 10-12, 2010. User Data Interoperability in the Social Web (UDISW 2010) at the 2010 International Conference on Intelligent User Interfaces (IUI 2010), which is held in Hong Kong, China (February 7 – 10, 2010). Recommender Systems, 3nd ACM conference on Recommender Systems, October, 2009, New York, USA. DART 2009, 3rd International Workshop on Distributed Agent-Based Retrieval Tools. In conjuction with 2009 IEEE/WIC/ACM International Conference on Web Intelligence (WI 2009) and Intelligent Agent Technology (IAT 2009), 15th September 2009 Università degli Studi di Milano Bicocca, Milan, Italy. 10th International Conference on Electronic Commerce and Web Technologies (EC-Web 09), Johannes Kepler University of Linz, Linz, Austria, 31 August - 4 September 2009. Second International Conference on the Applications of Digital Information and Web Technologies (ICADIWT 2009) (August 4-6, 2009) London Metropolitan University, London, UK. User Modeling, Adaptation, and Personalization (UMAP 09)., July 22-26, 2009, Trento, Italy. Personalization in Mobile and Pervasive Computing, Workshop at (UMAP 09)., July 22-26, 2009, Trento, Italy. Ubiquitous User Modeling Workshop at (UMAP 09)., July 22-26, 2009, Trento, Italy. The Eight International Conference on Case Based Reasoning, ICCBR 2009, 20-23 July 2009, Seattle, Washington, USA. The 7th Workshop on Intelligent Techniques for Web Personalization & Recommender Systems, held in conjunction with The Twenty-first International Joint Conference on Artificial Intelligence (IJCAI-09), July 11-17, 2009 - Pasadena, California, USA. International Conference on Business Informatics 2009, (WI2009), February, 25-27, Vienna, Austria. IUI-09 International Conference on Intelligent User Interfaces (http://www.iuiconf.org/). February 8-1, 2009. Sanibel Island, Florida. ENTER 2009, Information and Communications Technology in Tourism and Travel. Amsterdam, The Netherlands, January 27rd to 30th 2009. Social Networks, Emerging Communities and Technologies in the WWW, Sardegna Ricerche, Pula (Cagliari, Italy), 7 Novembre 2008. 9th European Conference on Case-Based Reasoning, ECCBR 2008, September 1-4, University of Trier., Germany. Workshop on User Model Integration, UMI-2008, in conjunction with Adaptive Hypermedia 2008, Hannover, 29 July - 1 August, 2008. Intelligent Techniques for Web Personalization, Workshops at the Twenty-Third National Conference on Artificial Intelligence (AAAI-08), July 13-17, 2008 - Chicago, Illinois, USA. ECAI 2008, 18th biennial European Conference on Artificial Intelligence, Patras, July 21 to 25, 2008. The Twentieth Conference on Innovative Applications of Artificial Intelligence (IAAI-08), Sponsored by the Association for the Advancement of Artificial Intelligence, July 13–17, 2008, Chicago, Illinois, USA. First International Workshop on Data and Services Management in Mobile Environments (DS2ME'08) in conjunction with the 24th International Conference on Data Engineering (ICDE'08), April 7-12, 2008, Cancun, Mexico. 2nd International Conference, of the e-Business Forum on E-BUSINESS IN TRAVEL, TOURISM AND HOSPITALITY, Athens, Greece, 14 March 2008. ENTER 2008, Information and Communications Technology in Tourism and Travel. Innsbruck, Austria, January 23rd to 25th 2008.
International Workshop on Recommendation and Collaboration (ReColl), (in conjunction with IUI 2008), Canary Islands, Spain, 13 January 2008. The 5th International Workshop on Ubiquitous User Modeling (UbiqUM’08) Co-located with IUI 2008, Canary Islands. Recommender Systems 2007, October 19-20, 2007 -- Minneapolis, Minnesota, USA. KDD Cup and Workshop 2007, Co-organized by ACM SIGKDD and Netflix, held at KDD-2007, San Jose, California, Aug 12-15, 2007. Intelligent Techniques for Web Personalization, Workshops at the Twenty-Second National Conference on Artificial Intelligence (AAAI-07), Monday, July 23, 2007. ECML/PKDD 2007, 18th European Conference on Machine Learning (ECML) and the 11th European Conference on Principles and Practice of Knowledge Discovery in Databases (PKDD), Warsaw, Poland, September 17-21, 2007. UM 2007, 11th International Conference on User Modeling, Doctoral Consortium, Corfu, Greece, 25-29 June, 2007. The Twenty-Second National Conference on Artificial Intelligence, AAAI-07, July 22-26, 2007, Vancouver, British Columbia, Canada. AAAI'07 Workshop on Recommender Systems in E-Commerce, AAAI07-WS-RS, July 22-23, 2007, Vancouver, BC, Canada. The Seventh International Conference on Case Based Reasoning, ICCBR 2007, 13-16 August 2007, Belfast, Northern Ireland. ENTER 2007, Connecting Destinations New Technologies, New Thinking, New Solutions, January 24th - 26th, 2007, Ljubljana, Slovenia. Giornata nazionale su Guide Mobili Virtuali, 18 October 2006, Torino. European Conference on Machine Learning and European Conference on Principles and Practice of Knowledge Discovery in Databases (ECML-PKDD 2006), September 18-22, 2006, Berlin, Germany. ECML PKDD 2006 Workshop on Ubiquitous Knowledge Discovery for users (UKDU'06), September 22, 2006, Berlin, Germany. 8-th European Conference in Case-Based Reasoning (ECCBR 2006), 4-7 September 2006, Oludeniz/Fethiye, Turkey. 17th European Conference on Artificial Intelligence - Workshop on Recommender Systems, August 28, Riva del Garda, Italy. 17th European Conference on Artificial Intelligence - Workshop on Ubiquitous User Modelling (UbigUM 2006), August 29, Riva del Garda, Italy. VIII Argentine Symposium on Artificial Intelligence (ASAI 2006), 4-5 September 2006 - Mendoza, Argentina. Sixth International Workshop on Next Generation Information Technologies and Systems (NGITS 2006), July , 2006, Israel. International Conference on Information and Communication Technologies in Tourism - ENTER 2006, 17 - 20 January, 2006, Lausanne, Switzerland. Reviewer of: IEEE Transactions in Pattern Analysis and Machine Intelligence; IEEE Transactions on Knowledge and Data Engineering; Information Technology and Tourism; Machine Learning Journal; Computer Journal; ACM Transaction on Interactive Intelligent Systems; International Journal of Electronic Commerce; International Journal of Hospitality Management., IEEE Intelligent Systems, AI Communications, Pervasive and Ubiquitous Computing, Pervasive and Mobile Computing, ACM Transactions on Intelligent Systems and Technology. Member of the editorial board: of Information Technology and Tourism (Editor in Chief), User Modeling and User Adapted Interaction. I have been president of the steering Committee of the RecSys Conference from 2008 to 2011 (now I am member of the steering committee). I'm studying hybrid (case- content- collaborative-based) methodologies for building recommender systems for complex products like travel plans. The methodology exploits idea from cooperative data base, case-based reasoning, collaborative-filtering and decision theory, to supports a user in build his own personalized itinerary. We have developed a system prototype (NutKing) that integrates data and information originating from external tourist portals exploiting an XML-based information server and data mapping techniques. (ppt presentation). I've also been involved in research on mobile recommender systems, and in particular in the application of critiques-based technologies to support on-the-move decision making (MobiRek). I've studied local similarity metrics for case-based reasoning and Nearest Neighbor classification. I've developed a learning procedure for adapting the features' weights to the input space. The goal is to achieve the same accuracy obtained with other Nearest Neighbour algorithms with less cases in the memory (data compression), so obtaining also performance improvements. I've been also studying a class of local metrics for the nearest neighbor classifier whose definition is based on statistics computed on the case base. These metrics perform comparably to the Bayes classifier based on the same probability estimates. Finally, I've also integrated local learners with error-correcting output codes. Error-correcting output codes (ECOCs) represent classes with a set of output bits, where each bit encodes a binary classification task corresponding to a unique partition of the classes. Algorithms that use ECOCs learn the function corresponding to each bit, and combine them to generate class predictions. ECOCs can reduce both variance and bias errors for multiclass classification tasks when the errors made at the output bits are not correlated. F. Ricci and P. Avesani. Data Compression and Local Metrics for Nearest Neighbor Classification, IEEE Trans. In Pattern Analysis and Machine Intelligence, April 1999. I developed a software tool for the interactive exploration of a case base. In this tool well rooted ML techniques for selecting relevant features, clustering cases and forecasting unknown values have been adapted and reused for case base exploration. I've studied algorithms for case retrieval from a case base of trees labeled on both nodes and edges. They extends the best known algorithm for solving the subtree-isomorphism problem. That algorithm is based on branch and bound and on a general similarity metric between trees. Moreover I've applied case-based reasoning to recommender systems and developed case-based storage and retrieval technologies based on a P2P infrastructure. We have developed a CBR architecture for planning that integrate constraint processing to support temporal reasoning. A prototype was developed within an Esprit project (CHARADE) whose goal was to fully support forest fire control centers, from situation assessment to resource dispatching. P. Avesani, A. Perini and F. Ricci. Interactive case-based planning for forest fire management, Applied Intelligence, 13, 41-57, 2000. F. Ricci, P. Avesani and A. Perini. Cases on Fire: Applying CBR to Emergency, New Review of Applied Expert Systems, 5, 175-190, 1999. I've studied a decision maker model, called learning automaton, exhibiting adaptive behavior in highly uncertain stochastic environments. This learning model have been used in solving constraint satisfaction problems (CSPs) by a procedure that can be viewed as hill climbing in probability space. Moreover, I've studied the application of incremental algorithm for constraint satisfaction problems. In particular I'm interested in designing incremental algorithms for bounded difference constraints networks. That type of constraint networks have been applied for solving temporal reasoning (planning and scheduling) and design problems. F. Ricci. Constraint reasoning with learning automata, International Journal of Intelligent Systems, 9, pp. 1059-1082, 1994.